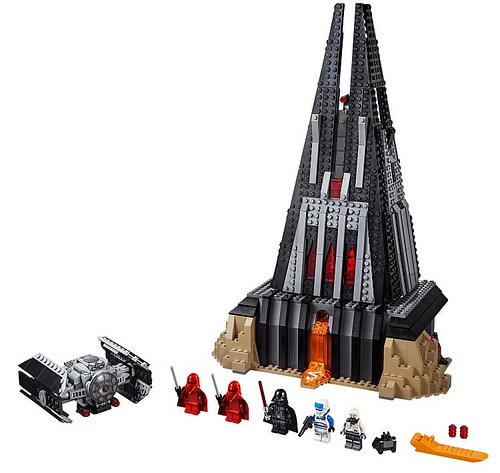 Set the scene for action on planet Mustafar with LEGO® Star Wars 75251 Darth Vader’s Castle! 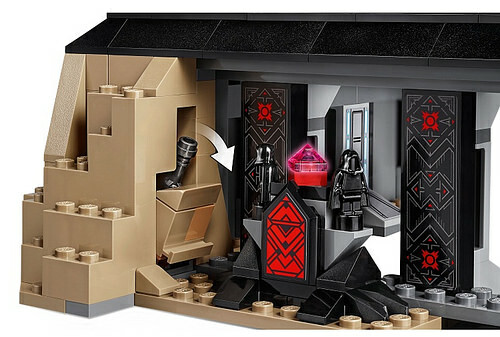 This building set of Vader’s mysterious stronghold features lots of great details, including a brick-built lava flow, an underground hangar with mouse droid and docking station, ancient Sith shrine with holocron, racks for extra ammunition, and secret compartments hiding more Sith relics. The hangar also houses a buildable TIE Advanced Fighter model with stud shooters and space to sit the Darth Vader minifigure. 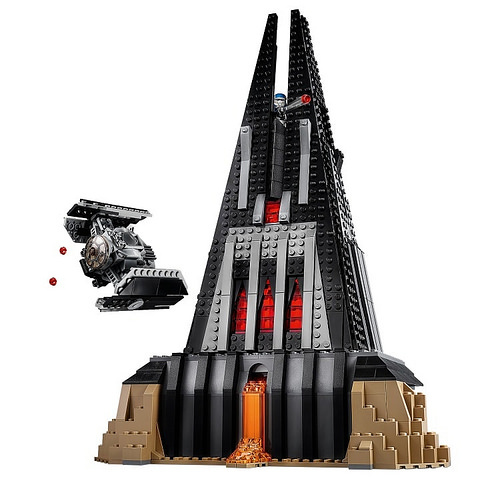 There’s also a bacta tank, Darth Vader’s meditation chamber with holographic communication unit, and a meeting platform at the top with a defensive stud-shooter cannon. As well as classic Darth Vader, the set also includes a bacta tank version of the Dark Lord, plus 2 Royal Guards and an Imperial Transport Pilot. 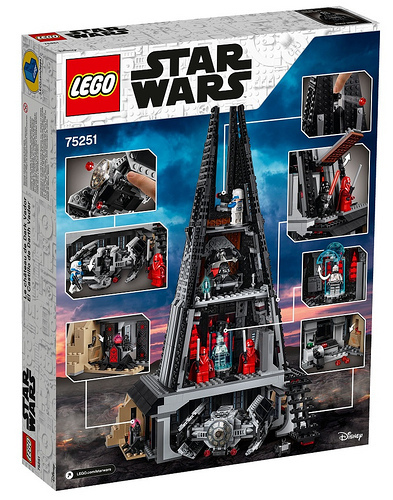 -Includes 5 minifigures: Darth Vader, Darth Vader (bacta tank), 2 Royal Guards and an Imperial Transport Pilot. 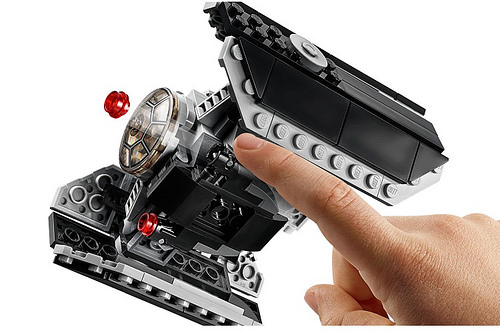 -Features Darth Vader’s Castle and a buildable version of Vader’s TIE Advanced Fighter. 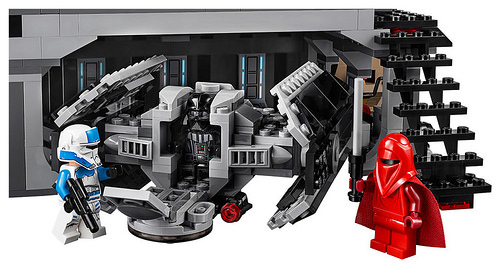 Underground hangar with mouse droid and docking station, ancient Sith shrine with holocron, racks for extra ammunition, Sith relics, secret compartments hiding a lightsaber handle and a red kyber crystal element, plus space for Vader’s TIE Advanced Fighter. 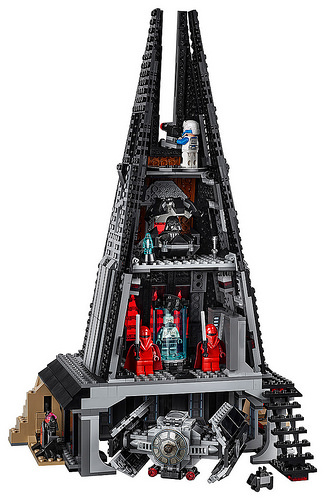 -Castle also features a side access door, opening bacta tank, a hook for Lord Vader’s cape, meditation chamber with space for a minifigure and holographic communication unit, plus a circular meeting area at the top with a defensive stud-shooter cannon. -TIE Advanced Fighter features 2 stud shooters and an opening minifigure cockpit. -Weapons include Darth Vader’s red lightsaber, the Imperial Transport Pilot’s blaster pistol and the Royal Guards’ Force pikes. 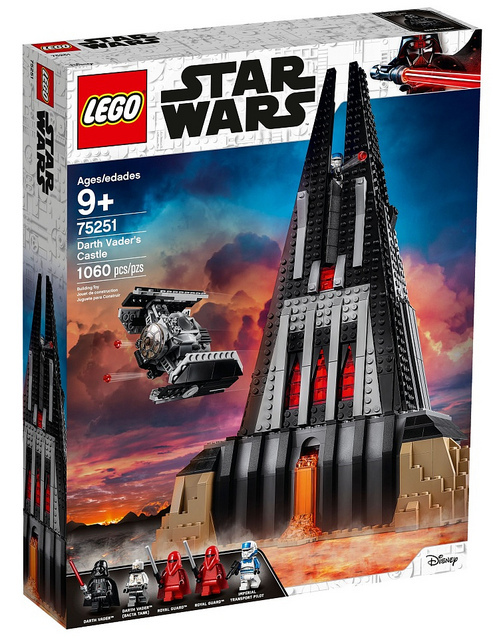 -Darth Vader’s Castle Star Wars building set measures over 16” (41cm) high, 11” (28cm) wide and 9” (23cm) deep. -TIE Advanced Fighter measures over 2” (6cm) high, 4” (11cm) wide and 3” (9cm) long. The 1060 piece set will retail for $129.99 and will be available exclusively at Amazon.com for the 2018 Holidays; Pre-Order October 4.